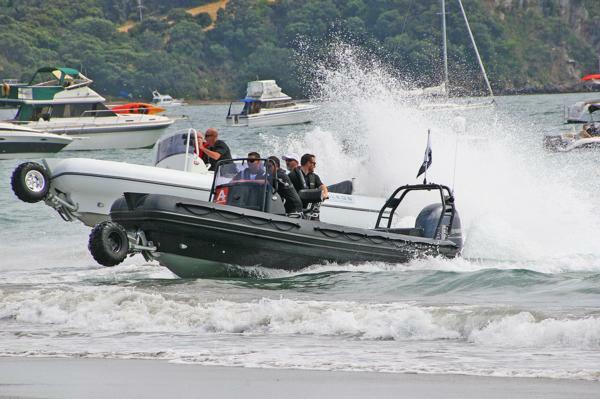 Waiheke Island has the largest concentration of Sealegs amphibious boats anywhere in the world. Every February, local owners compete at the iconic Onetangi Beach Races - which also pits horses, tractors, waiters and this year Uniformed Services from the island against each other. This free family fun day attracts more than 5000 race goers each year and the event has just been nominated as the most beautiful place to be in February by the Italian version of the Huffington Post.